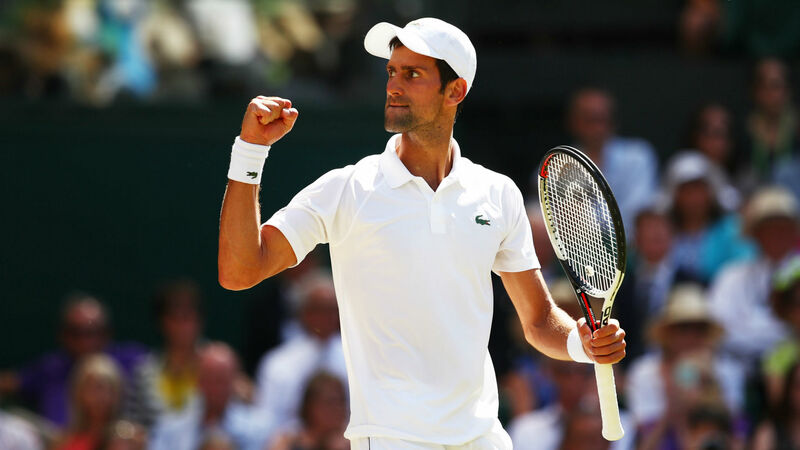 A resurgent Novak Djokovic claimed his 13th grand slam title and fourth Wimbledon crown with victory over Kevin Anderson in a largely one-sided men’s singles final at the All England Club. Djokovic held all four slams in June 2016 when he won the French Open for the first time, but subsequent struggles for form and fitness saw him tumble down the rankings and he began this event as the world number 21. However, having looked back to his brilliant best as he overcame great rival Rafael Nadal in a spectacular semi-final played across two days, the Serbian was too good for his opponent on Sunday, triumphing 6-2 6-2 7-6 (7-3) in two hours and 18 minutes. Eighth seed Anderson had come from two sets down to stun defending champion Roger Federer in the quarter-finals, before winning a last-four tie with John Isner 26-24 in the fifth on Friday after more than six and a half hours on Center Court. Those herculean efforts initially looked to have caught up with the South African, who was playing his second grand slam final having lost to Nadal in last year’s US Open decider, and he called for the trainer even before the opening set was brought to a swift end. After receiving treatment on his right arm, Anderson was roared on by a crowd eager to see a contest and gradually raised his game, but Djokovic held firm impressively to save five set points in the third set and dash any hopes of a fightback. The champion of 2011, 2014 and 2015 can now celebrate another Wimbledon success, which is sure to be all the sweeter given his recent struggles. Only Federer (20), Nadal (17) and Pete Sampras (14) have won more grand slam singles titles among male players, with Djokovic having moved clear of Roy Emerson courtesy of his 13th victory. Although he had more rest time than Djokovic following their respective semi-finals, many had questioned whether Anderson would be ready to perform at his best level after spending 21 hours on court prior to Sunday’s match. The underdog’s initial efforts certainly did not inspire confidence. He double-faulted to be broken in the opening game and a succession of further errors, predominantly off the forehand wing, saw him drop the first set in 29 minutes with Djokovic looking solid. Anderson’s right elbow and bicep were the focus of the trainer’s attention at the end of the set, though he was able to continue and received plenty of encouragement from the spectators. Djokovic looked in no mood to offer his rival any hope, though, and ruthlessly took out the second set despite signs of improvement from Anderson. Superb serving underpinned Djokovic’s control of proceedings and he faced only one break point across the first two sets. Anderson refused to give in and showed ever more attacking intent and passion as he consistently held serve for the first time before carving out a succession of chances to break. His gutsy rally forced Djokovic to dig deep for the first time in the final, but the former world number one was equal to the task, powering through a tie-break to seal victory.